This kit is one of our smooth back looks, no lights. We designed this fender in mind of 10'' plasma rods. New custom replacement Rear Fender with frenched in license plate includes custom fender strut covers. The saddlebags have dual exhaust openings. 2009-2013 Harley Baggers. Why buy MB Stretched Saddlebags They are a direct replacement for your factory bags, (2014-up FL's,FLH, FLT, using your existing stock mounting hardware and lids. As always, each bag is lid tested and passes a quality control process. Milwaukee Bagger Stretched Saddlebags only makes quality products. You receive the saddlebag without seams, bodywork, or primer (Your painter will be happy to hear that Milwaukee Bagger has not primed the bags). If you see someone selling parts that have been primed, they are trying to hide the poor quality of their parts. All of our RTM injected composite products are made in the U.S.A. We use High Quality and Strong Injected Composite. Saddlebags have a smooth black gel-coat finish inside as well as a white gel coat outside, close to OEM. No need for a liner to cover up the rough fiberglass hairs from hand laid saddlebags. 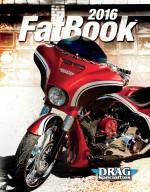 The New Design has a side body line that rolls around to the front of the saddlebags. We also rounded the bottom front corner to match the bottom of your side covers. The Stretched Saddlebags accommodate exhaust pipes from stock, oval, and as large as "4.5" exhaust. RTM construction makes this a very durable fender, and allows for additional custom options.This is a full fender replacement of the stock fender. Makes for a very simple install on 2009-2013 Harley Baggers.This fender was designed to be used with a stock backrest, tour-pack and stock antenna. License plate frame opening is 4 1/4 X 7 1/4.